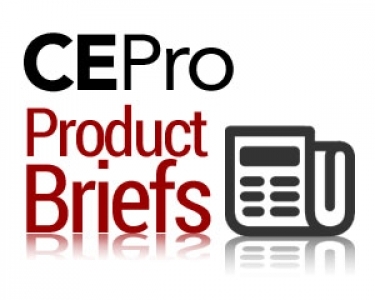 CE Pro new products—home automation, audio, video, IoT, motorized shades, lighting control, energy management, home theater, networking and more. So many product news items come across the CE Pro desks, and we don't want to miss them. Neither do our readers. This is the place where we tell you what's now shipping, which reps and distributors picked up what new products, which products are newly comp itatible, how public companies are faring, and other briefs in custom electronics. Audirvana, the maker of expert audio software for Mac, has redesigned its software to produce hi-fi quality audio. The new software version 3.5 for Mac transforms a Mac computer into a source of high-fidelity audio. By mastering the computer’s flow of audio signals, the Audirvana software avoids the intervention of other applications during music listening. It also stabilized the power supply to minimize digital distortion or radio interference. The software allows the playback of audio formats including FLAC, WAV, AIFF, and MQA, as well as DSD files. It also integrates with Tidal, Qobuz, and HRA streaming services. The version 3.5 software includes a new graphical user interface to allow users to search by artist, track or album. A trial version is available for free for 30 days; suggested retail price of Version 3.5 is $75. These commands can be joined by other commands to change the entire room environment. “Watch ESPN, turn down the volume on the TV, open shades to 30 percent and turn on the lights,” for example, will issue commands to all devices. Dish’s integration with Josh.ai follows on the footsteps of the company’s integrations with other voice control platforms including Google Assistant and Amazon Alexa. The integration of Josh.ai is available on Dish’s Hopper (all generations), Joey (all models) and Wally set-top boxes. Screen Innovations (SI), a company known for its Black Diamond projection screen, has announced a new “Quick-Build” screen program offering a three- and five-day build on a pre-defined set of SKUs. This new program incorporates the most popular sizes and materials from SI’s line of Motorized, Fixed, Zero Edge, and Zero Edge Pro screens. 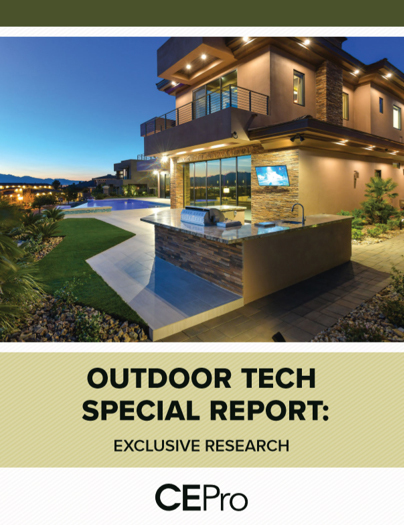 “The goal of the Quick-Build program is not simply supplying our customers the screen they want faster but doing so reliably. What we are really promoting is consistency—we will ship on time, every time,” says Jason Reis, COO at SI. In addition to jumping into a three-day or three-day build line, Quick-Build screens also take less time to order compared to SI’s existing custom screen builder tool. The Quick-Build ordering system displays a selection of filterable screen products with instant screen drawing downloads and a quick checkout system. The voice control and automation company josh.ai has partnered with Sonos to launch VoiceCast. According to josh.ai, the partnership provides a new way for homeowners to interact with its systems through the utilization of Sonos speakers to deliver voice responses. Compatible Sonos products include the Amp, Play:5 Gen 2 and the Sonos One. josh.ai points out that dealers can activate the voice options by making configuration changes to the Micro settings, and in its web portal that corresponds to the Sonos product located in a particular room. "Sonos has always been a leader in innovative experiences for music in the home, and we're thrilled to be working closely with them to offer exciting featurs to our clients," states Alex Capecelatro, CEO, josh.ai. "Our team is extremely proud of our device integrations and the continuous development of revolutionary ecapabilities that add value to living with josh.ai. Our goal is to deliver a magical user experience, and VoiceCast with Sonos is another step towards that vision." James Loudspeaker, a designer and manufacturer of décor-friendly entertainment products for both residential and commercial applications, has announced the formation of the Mavericks Architectural Cinema (MAC) division. The James Loudspeaker MAC division will focus on the design, engineering and product specification of high-performance cinema sound systems, relying on the expertise of division Executive VP John Bishop. The Mavericks cinema speakers from James Loudspeaker provide ultra-wide bandwidth, very high sound pressure levels and ultra-low distortion. The James Loudspeaker MAC division will focus on the design, engineering and product specification of high-performance cinema sound systems ranging from a simple 5.1 systems, to immersive audio systems utilizing one or more of the available object-based home theater formats. The Home Technology Association has updated its smart home technology Budget Calculator, to make it easier for builders, interior designers, architects, construction estimators and homeowners to allocate budget for and physically accommodate technology earlier in their projects. Launched in conjunction with the HTA website and free for anyone to use, the Budget Calculator has grown into the association’s most-used resource to empower decision-makers in the technology buying process. New updates for 2019 make the calculator more accurate, more specific, and easier to use. Here is a video that explains the calculator in greater detai. Pioneer & Onkyo USA Corporation have announced the availability of for the brands' Apple AirPlay 2 firmware for select network-enabled components. This update covers a broad lineup of products to include models like the Pioneer SC-LX901, which was released in 2016 to current best-selling models such as 2018's VSX-933. KanexPro, a provider of connectivity solutions to the IT and AV markets, announces a partnership with DTVGameControl, a solution designed for controlling and managing video tiling and video walls in sports bars and restaurants. KanexPro will feature DTVGameControl in select AV over IP products, including the Network AV over IP Encoder and Decoder. By incorporating DTVGameControl in KanexPro products, end users can manage and control DirecTV, Dish Network, cable receivers, video tilers, and video walls. DTVGameControl features “Game Day” tabs to detail current sporting events for quick access to the latest game, without having to spend time searching through channels. Through DTVGameControl, televisions will automatically turn on each device at a scheduled time on the desired set channel. Luxul has announced a firmware update for its XAP-1510; XAP-1410; XAP-810; XAP-1440; XAP-1240; XAP-1230; XAP-1210; XAP-310 & XAP-1500 wireless access points (WAPs). The new 6.3 firmware includes enhancements such as the elimination of reboots when making configuration changes to the WAPs, as well as a correction for a subnet display error, and it also provides support for future wireless controller updates. 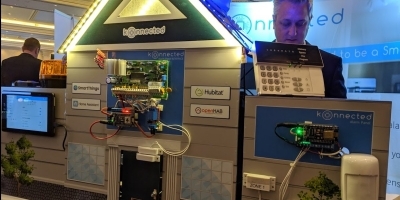 Kwikset brand of Spectrum Brands, Inc. – Hardware & Home Improvement Division, has announced that its SmartCode 888 Deadbolt Lock was chosen to become part of the new Home is Connected smart home system from D.R. Horton, Inc.
D.R. Horton’s Home Is Connected system is included in the base price of each new home from the company’s family of brands. The system includes a robust central hub by Qolsys that controls the smart home features, including a home alarm and automation platform by Alarm.com, Honeywell Home thermostat from Resideo, smart switches by Eaton Corporation, video doorbell by SkyBell and hands-free, voice-first experiences with Amazon Alexa. Yamaha is bringing music and entertainment fans closer to their favorite artists by giving them access to even more streaming and voice control capabilities with a series of upcoming firmware and app updates. Beginning this month, 15 current home audio products, including a soundbar, wireless speakers and AV receivers, will start offering Apple AirPlay 2 support, Qobuz high-res streaming services and expanded Spotify Connect capabilities. Additionally, starting tomorrow, more than 70 Yamaha audio products will gain support for Actions on Google through an update to the Yamaha MusicCast app. These new capabilities join a growing family of built-in services – including Spotify, Pandora, SiriusXM Internet Radio, Deezer, TIDAL and Napster – as well as an impressive lineup of features such as high-resolution audio support, voice control via an Alexa device, and Wi-Fi and Bluetooth connectivity. “Our line of home audio products features some of the most robust hardware in the industry. We’ve been meticulously focused on building on that foundation to enhance the value our customers derive from our latest products through a series of free firmware updates,” says Alex Sadeghian, director, consumer audio, Yamaha Corporation of America. D-Tools, Inc., the worldwide developer of system integration software, is offering a free 45-day trial of its new cloud-based platform to Metra Home Theater Group (MHTG) customers. D-Tools Cloud debuted at the 2018 CEDIA show as an affordable multi-OS, web-accessible platform. D-Tools explains the platform enables home technology professionals and system integration companies to better manage their project sales and design process – from pipeline and opportunity management through system design, quoting, proposal, acceptance, and procurement. 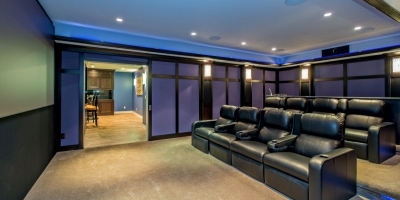 All of Metra Home Theater Group’s products are available to authorized dealers who are using D-Tools Cloud, allowing them access to pricing and product information when designing and quoting their projects. Click here to sign up for the 45-day free trial offer. Roku has announced its new 9.1 operating system (OS). The software update is available on select Roku streaming players, and it is expected to roll out to all supported players in the coming weeks. Roku TV models are expected to receive the update in early summer. We’re making it easier for users to get to the entertainment they love even more quickly. When using the voice search, movies and TV shows on The Roku Channel will now begin playback rather than display search results, including those available on 25+ Premium Subscriptions services. Searching for popular genres like “comedy” or “action” using text or voice search will now return a result for a browsable collection of movies and TV shows. This collection will be categorized making it easy to find free, on-demand, subscription, 4K, and other types of content. Previously known as Auto Sign Out Mode, this feature allows visiting guests to sign in to subscription channels using their own account credentials. With Roku OS 9.1, users can now enable or disable the feature for specific Roku devices from the “My linked devices” section on your My Account page on Roku.com. Bryston has introduced native support for the Qobuz streaming music service as an available firmware update for Bryston’s award-winning BDP Music Players. Qobuz, is a certified high-resolution (24-bit/up to 192 kHz) streaming service that enables users to stream uncompressed content from a library of well over 40 million tracks representing every imaginable style including jazz and classical music. Qobuz first became available to European consumers in 2007. Since the conception of the BDP series music players nearly 10 years ago, Bryston's goal has been to reproduce high-resolution digital content as faithfully as possible. Now that winter is here, Roku, Inc., has announced that HBO will be available via Premium Subscriptions on The Roku Channel starting immediately. This addition makes it easy to access all of HBO's original series in their entirety, plus hit movies, documentaries, live programming and more. Additionally, Cinemax will soon be available via Premium Subscriptions on The Roku Channel. HBO joins an array of 25-plus popular premium subscriptions already available on The Roku Channel. Users of The Roku Channel can browse HBO via Premium Subscriptions and then trial HBO for free for seven days. Following the seven-day trial, subscribers will be charged $14.99 per month. The Roku Channel offers a single destination for both free and premium movies, shows and other content. At the upcoming AXPONA consumer audiophile show in Chicago MQA will take part in the event's Master Class series by providing education on its technologies and high-resolution audio. The seminars will be held on Friday April 12 from 3 p.m. to 3:45 p.m., and on Saturday April 13 from noon to 12:45 p.m.
MQA will conduct the educational presentations with support from its industry partners that include NAD Electronics, Estoeric, Technics, Aurender, iFi Audio and EMM Labs. "We are delighted to support our extensive partner base at North America's largest high-end show," states Mike Jbara, CEO, MQA. 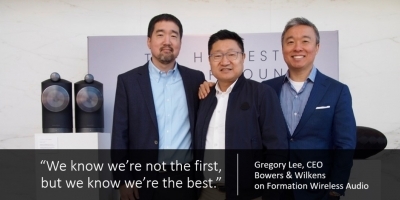 "Our commitment is to deliver the master recording all the way through to the consumer and there will be a wealth of hardware partners and services providing opportunities to learn about and experience MQA music at AXPONA." The Pro-Ject Stream Box S2 Ultra is now fully Roon ready and certified. Pro-Ject, a European-based consumer audio manufacturer, explains Roon is a music management tool that allows homeowners to browse and organize their music, artist photos, credits, bios, lyrics, tour dates, and the seamless integration of local libraries with the 40-million track libraries of TIDAL and/or Qobuz. Pro-Ject's v1.029 firmware is now available and ready for download. For more than 50 years Russound has designed and built multiroom audio and video systems for the home. As the industry moves ever forward in its full transition to streaming audio, Russound states it is important to provide easy access to customers’ favorite, and most current, streaming tools. The Recording Industry Association of America (RIAA) music recently released data showing that 75 percent of its revenue is now coming from streaming music. So, keeping up with the current market trends, Russound added two more of the industry leading streaming services, TIDAL and Deezer to the newly launched MBX-AMP and MBX-PRE streamers. VITAL Mgmt has announced the introduction of its supplemental +Controller and +Coaching services. What the dashboards can’t do, is coach the business owner on best strategies and practices for improving areas of weakness. This commonly includes less-than-optimum Gross Margins, low labor productivity, and even poor bookkeeping practices. The basic Bi4Ci monthly service is $300. The new “+” services are an additional $400/month each, and a company can opt for one or both, and opt out once they feel they can go forward on their own. On Friday April 5 the company is offering a free 30-minute webinar at 11 a.m. CDT. Dealers can register here for the webinar. AudioControl, a manufacturer of high-performance audio solutions for the residential, commercial and automotive markets, has made product information easily available to technology integrators via the D-Tools Cloud that will enhance their operational efficiency. D-Tools Cloud users now have access AudioControl’s detailed product specifications, unique dealer pricing, and other pertinent information to be used as part of the sales, system design, documentation and procurement process at any moment, including the most the critical stage of their projects. “Our objective in making this data easily available in the D-Tools Cloud is to support our dealers by improving project efficiency, enabling them to have fingertip access to our complete lineup and thus win more bids,” comments Chris Kane, vice president of sales and marketing for AudioControl. Just Add Power, a manufacturer of Ultra HD over IP video distribution, has announced a new five-year warranty for all HDMI over IP transmitters and receivers in the company's 2GΩ/3G and 3G families. Effective immediately, the warranty covers parts and replacements for any 2GΩ/3G and 3G solution sold on or after March 1, 2019. "The 3G platform started shipping in September 2015. When we analyzed the performance and durability in the field, we were pleased to see practically zero failures after a system is properly installed and running for an extended period," says Ed Qualls, president of Just Add Power. "Given this real-world result, we decided it would make sense to extend our warranty to five years. It will cost us practically nothing to do this, and it further expands the good will we have built up with the professional installer community." FIBARO, a global manufacturer of wireless intelligent home automation and control devices, has announced integration with the SmartThings platform for Fibaro devices. Through this integration, many of Fibaro’s Z-Wave smart home sensors and devices are now fully compatible with the widely adopted and deployed SmartThings platform. The importer Rutherford Audio is now handling the Italian high-performance audio brand Goldnote. The Italian manufacturer develops a range of consumer audio products that includes everything from turntables to digital components. ProSource, a national audio, video and integration buying group, has announced the addition of DISH Network as a new vendor. Members now have access to DISH's best-in-class residential and commercial video offerings, including the company's flagship satellite television, live streaming and over-the-air solutions, Sling TV and AirTV. This partnership allows ProSource members to participate in the DISH Custom Integration Program. The program gives integrators the ability to easily create accounts for clients, provides access to skilled technicians for site surveys and complex installs, and includes a dedicated support hotline managed by an award-winning VIP concierge team. DISH also recently introduced a new revenue sharing program, providing integrators with a recurring monthly revenue (RMR) incentive per qualifying purchased DISH account. "ProSource recognizes the value of DISH as a content management partner," says Dave Workman, CEO and President of ProSource. "RMR for dealers that sell the satellite platform is an attractive option for our members." D-Tools, Inc., a worldwide developer data-driven system integration software, has announced that Sonos has joined the D-Tools i3 (Industry Information & Insight) Program. One of the world’s leading sound experience brands, Sonos’ affiliation with D-Tools provides D-Tools Cloud users access to the company’s complete, detailed product specifications and access to dealer specific pricing, and related information for use in the sales, system design, documentation, and procurement of Sonos products for their client engagements. Luxul is now offering a firmware update for its XWC-1000 controller. Firmware version 7.0.3 is now available for downloads and updates. On Wednesday March 20 at 9 a.m. MST, the network manufacturer adds that it is offering a webinar that includes a Q&A focused on its new Easy Setup App. 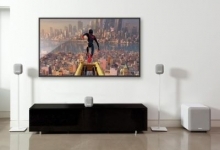 WiSA LLC, the Wireless Speaker and Audio Association, which is comprised of leading consumer electronics brands founded by Summit Wireless Technologies, has announced the certification of Klipsch Reference Wireless speakers from Klipsch Group, a wholly owned subsidiary of VOXX International Corporation. Available in June 2019, this new line of Klipsch loudspeakers work with any WiSA Certified and WiSA Ready* products, including the new 2019 WiSA Ready LG OLED and Nano Cell (Super UHD) TVs. The Klipsch Reference Wireless line includes the RW-34C center channel speaker ($499 U.S. MSRP), the RW-51M front and rear monitors ($699/pair U.S. MSRP), and the RW-100SW wireless subwoofer ($499 U.S. MSRP). These speakers can be mixed and matched to create powerful audio systems in any configuration from stereo (2.0) to a bigger 7.1 home theater configuration. The Reference Wireless speakers also work with any WiSA Certified or WiSA Ready source connected to a WiSA Certified USB Transmitter, including the Axiim Link. McIntosh, a global manufacturer of consumer audio products for 70 years, has announce that 11 of its products have received Roon Tested designation. Roon is an engaging way to browse, organize, and listen to music. Artist photos, credits, bios, reviews, lyrics, tour dates, and composers are located automatically, then interconnected by links to build a surfable digital magazine. Roon is also a multiroom, multi-user networked audio platform, it offers features such as bit-perfect playback, DSD and PCM upsampling, multichannel support, and Signal Path display. The McIntosh products receiving Roon Tested designation are as follow: the C47, the C52, the C2600 and the D1100 Preamplifiers. The MA5300, MA7200, MA8900 and MA9000 integrated amplifiers; MAC7200 receiver; MHA150 Headphone Amplifier; and the MXA80 integrated audio system also received the designation. All of these models utilize a powerful eight-channel, 32-bit Digital-to-Analog Converter (DAC) used in Quad Balanced mode. Their coax and optical inputs will decode music up to 24-bit/192kHz, while their USB inputs accept PCM signals up to 32-bit/384kHz, and they support DSD up to DSD256 and DXD 384kHz. “Many McIntosh customers have requested support for Roon, and today we are happy to announce that all of our current model preamplifiers and integrated amplifiers with digital audio are now Roon Tested,” says Charlie Randall, president, McIntosh. “All of these products were already full-featured units, and now with adding Roon Tested capabilities they will bring even more value and enjoyment to their owners. Roku says that viewers can watch this year's college basketball games through Roku’s Featured Free offering that will allow users to watch three hours of the tournament for free before having to authenticate with TruTV, TNT, TBS or CBS. Roku explains that basketball fans just need to grab a Roku player and navigate to the Featured Free tile on the Roku home screen. Supporting all of this basketball content, Roku will also be launching its own bracket on Twitter that will allow fans to weigh in on their all-time favorite TV theme songs. Throughout the upcoming college basketball tournament DISH is offering an alternative bracket that pits hit TV shows against each other. Called the DISH TV All-Star Bracket Challenge, this competition gives TV lovers the chance to guess which shows are the most popular of all time for a chance to win up to $10K! Participants can place their picks at dishbracketchallenge.com now through through March 21. Anyone can participate, whether you’re a DISH customer or not. Results will be released with each college basketball round, ending with the championship game April 8. Top scoring brackets will receive $10,000 as a first place prize; $5,000 for second place, and $2,500 for a third place finish. IntelliVision Technologies Corp., (IntelliVision), a manufacturer of artificial intelligence and deep learning video and audio analytics software for smart cameras and a subsidiary of Nortek Security & Control LLC (NSC), has announced it has been granted a patent by the United States Patent and Trademark Office titled “System and Method for Scalable Could Services,” number US 10,142,381 B2. This technology of scalable cloud-based services is a key component of the IntelliVision video analytics service, which can also be deployed on the device or at the local server level. The patent was granted for the highly connected and scalable cloud-based system that allows a video camera to recognize an event, upload the event data from the camera to the cloud server, and then allow retrieval of the event data by end-user devices such as smartphones, with the ability for on-demand live streaming/viewing and further analytics computation in the cloud. The key advantages of the patented system over other systems are its scalability, security, and consistent, reliable service for video cameras numbering in the millions. TIDAL, in partnership with MQA, has announced that Master quality tracks are now available via iPhone devices. The update to TIDAL’s iOS app follows the recent Android news announced at CES in January. With TIDAL Masters playback now accessible on iPhones and Android smartphones, as well as desktop and connected devices, you can experience studio quality sound wherever you choose to listen. Using a process called ‘music origami’, MQA’s technology folds master files into smaller files that can be streamed on the go. The MQA decoder in the app recovers all the direct music-related information and also authenticates the source of the original master recording. “From our ongoing work with engineers and artists, we know the importance creators place on delivering the original sound they created all the way to the music fan," says Mike Jbara, CEO MQA. On Saturay March 23 from 11 a.m. to 5 p.m., Value Electronics will present a reference theater demo in its Scarsdale, N.Y. theater room. The theater will show off a special collaboration of new flagship products: JVC’s NX9 HDR 8K e-shift projector and Panasonic’s UB9000 HDR 4K Player. JVC and Panasonic engineers collaborated to build two modes that are exclusively designed to match all of Panasonic’s HDR Optimizer tone mapping. These new custom modes exploit all of the dynamic tonal range and color gamut to reproduce images that closely match what the post production houses see when they are color grading and setting the HDR range. Qobuz, a certified Hi-Res streaming service, is now available on Sonos, which is a popular multiroom wireless smart home product line. In the U.S. with a subscription to the Hi-Fi level of Qobuz, Sonos users will be able to stream 16-bit CD to their sound systems. According to Qobuz, many Sonos users listen to their music through MP3 streaming quality levels, but with its service, listeners can access their music at nearly five times that resolution (1411 kbps vs. 320kbps) to give them full, CD-quality performance. Qobuz's $19.99/month Hi-Fi subscription plan is now available in the Sonos App to stream CD quality on Sonos speakers throughout the home. DTS, a global developer of high-definition audio solutions, and a wholly owned subsidiary of Xperi Corporation, has announced that consumers worldwide can now utilize DTS Play-Fi powered devices as their Preferred Speaker for an Alexa Smart Home Group (SHG). The new Preferred Speaker feature gives users the convenience of selecting a specific DTS Play-Fi powered device in their home to become the default music playback speaker for their Echo, Echo Dot, Echo Spot, Echo Show or other Amazon Alexa device. Once a Preferred Speaker has been designated in the Amazon Alexa App, the user no longer needs to refer to the device’s name in order for music to play on the preferred device. Voice commands as simple as “Alexa, play top-40” to a linked Echo device will initiate playback on the associated DTS Play-Fi speaker. This functionality is available today on all certified “Works with Alexa” DTS Play-Fi products. Luxul, a manufacturer of IP networking solutions for AV integrators, has announced that the company's new Easy Setup App is now available as a free download for Apple and Android devices. For integrators, the app speeds up the installation process and ensures that key installation points are covered. "This app has been put through its paces by Luxul dealers to ensure a reliable tool primed to speed up installations and lower costs," says Mike Grubb, vice president of marketing at Luxul. "We couldn't be more excited to say that initial testing is now complete, and the app is available to all integrators on the Apple and Google Play stores." Luxul's Easy Setup App allows integrators to install a Luxul wireless router and up to two wireless access points (APs) — at the same time — from the convenience of an iOS or Android phone. The beauty of installing the additional APs with the app, according to Luxul's VP and general manager, Jeff Curtis, is that the router's wireless controller takes care of the configuration; the installer simply plugs them in. The simple-to-use mobile application not only speeds up installations but ensures the product is installed with the appropriate security settings and the latest firmware. SnapAV has teamed up with Clare, a provider of security and smart-home automation products. The alliance makes SnapAV the exclusive source for Clare products. Benefits for dealers will multiply through the alliance between SnapAV and Clare. The synergistic effects of the partnership include increased service and support for dealer’s connected devices, fast shipping to anywhere in the country thanks to SnapAV’s network of distribution centers, and remote management integration with OvrC on popular Clare products. According to a story from 9 to 5 Mac, Apple has acquired a patent portfolio of the failed security company Lighthouse AI. The story reports Apple has acquired six patents, and the patents relate to technologies used for computer vision security, visual authentication, two-way communications and event notifications. Lighthouse AI shutdown in 2018, and 9 to 5 Mac speculates that Apple may use the newly acquired technologies for future versions of Face ID, and possibly updats to HomeKit. Roku, Inc., has announced that Roku devices are now compatible with Amazon Alexa-enabled devices through the new Roku skill for Alexa. Roku streaming player and Roku TV owners in the U.S. can now control their Roku devices using Alexa. The new voice control compatibility further expands the flexibility and choice for how consumers control their Roku devices and get to their entertainment quickly. SnapAV has relaunched Holy Snap, a program exclusive to Partner Rewards members that gives installers the chance to earn major rewards for purchasing SnapAV products, including cars, vacations, and SnapAV product credit. “We’re always looking for impactful ways to thank our dealers for their loyalty,” says Janyl Yousefpour, vice president of customer marketing, SnapAV. SnapAV dealers who are in the Partner Rewards program and register for Holy Snap earn one point for every dollar spent in their eligible categories. The program runs from March 4 to December 20th, 2019. After the program is complete, dealers can redeem the points they’ve earned for rewards. Rewards range from kegerators, drones, grills, and MacBook Pros to luxury vacations like Caribbean cruises and private helicopter tours of Italian wine country. In total, there are nine different point thresholds and 49 different rewards, with additional rewards being revealed monthly. Participating dealers can redeem their points on a major reward or several smaller rewards, either for themselves or their team members. Domotz says that its Domotz Premium Plan option is now live. The company says it listened to many requests for premium features included that serves MSP or IT professionals who manage multiple franchises, hospitality, retail, or corporate networks. Commercial Integrators can also leverage the functionalities available within this new plan on large installations. Upgrade your agents today in the Domotz Portal. One Firefly and OneVision have announced a new partnership designed to help integrators boost their customer experience and brand positioning in their local markets. Website visitors utilizing One Firefly’s manned live-chat solution called Lead Concierge will now have support and service requests re-routed directly to OneVision’s white label 24/7 support team. Additionally, One Firefly and OneVision have combined forces to create a new support experience web page highlighting the service solutions provided by OneVision partners. Cary Audio has added the Qobuz streaming audio service to its streaming audio options. The company says that with Qobuz its DMS-550 and DMS-600 offer two ways to stream high resolution music. Qobuz offers up to 24 bit/192kHz FLAC while TIDAL offers up to 24 bit/384kHz via MQA. Both the DMS-550 and DMS-600 include full MQA Certification with the latest generation decoders, Roon Ready, AptX™ HD Bluetooth, Airplay, Qobuz, TIDAL, Spotify, vTuner, and so much more. More choices mean more enjoyment! The new firmware also includes enhancements for those that use a server, such as JRIVER, to playback your music files from a network computer or NAS. Server function is faster and now includes artwork on the DMS Streamer App. The PowerHouse Alliance, has announced the addition of five new vendor lines that are now available nationwide through its 12 distributor members, including Intellinet Network Solutions, LeakSmart, MantelMount, RTI, and TechLogix. 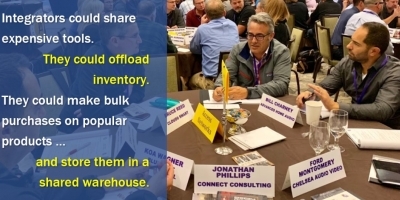 All product lines from each new vendor will join the 250-plus lines currently carried by PowerHouse Alliance distributors, available with will-call and online ordering from 43 warehouse locations across the country. Intellinet Network Solutions, MantleMount, and RTI extend options for networking, mounts, brackets, extenders, and home control devices, respectively, and TechLogix and LeakSmart expand PowerHouse into fiber and water detection categories. Savant, a manufacturer of smart home technologies, has announced several updates to Studio, the company’s iPad-based quick configuration tool for integrators. The accessibility and portability of a tablet-based solution such as Savant Studio increases productivity by enabling junior techs to manage S2 host-based system configuration, freeing senior technicians to address more complex assignments in the field. For the Savant S2 host platform, Studio now features a Smart Behaviors Editor, enabling integrators to create customized workflows that improve configuration efficiency. Examples include the capability to automatically raise/lower a motorized lift when a TV is powered on/off, or creating an audible and/or visual alert when the doorbell has been pressed. Working in conjunction with Savant’s cloud-based central management portal (SCM), user preferences such as Savant Scenes, customized Savant Pro App photos and other Studio configuration parameters can all be stored in the cloud for fast, easy access. Savant Studio also supports an exciting new feature enabling the S2 host to create a secure, wireless connection to the Savant Pro Remote and other wireless devices without requiring access to the client’s Wi-Fi network—a feature often requested by Savant integrators. Remote support company Parasol has launched its monthly Peace Of Mind report card to its dealers and their subscribers this week. Dealers will be given the opportunity to opt-in to the new program, which then enables Parasol to send out monthly co-branded reports to subscribers showing them how many issues have been resolved, how much time & money they’ve saved and global statistics across the entire country. Parasol has offices in Las Vegas, Nevada and Richmond, Virginia. Atlona has updated and expanded the relevance, and value of the accredited online courses offered through the Atlona Education Portal. “This update aligns with the evolution of Atlona as a company, as we help our customers transition from foundational HDMI and HDBaseT technologies to IP networks,” says Ken Eagle, director of field training and technical sales, Atlona. “AV professionals will now gain comprehensive knowledge, tools, and industry best practices on the entire end-to-end process. This spans the design, rollout, and integration of AV over IP systems, as well as set-up, management and control of the underlying AV network." 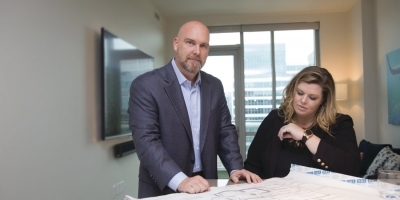 Building on its success in providing builders with a complete portfolio of connected home solutions, Nortek Security & Control LLC (NSC), has announced the expansion of its newly rebranded Nortek Security & Control New Home Program, which now includes thecompany’s complete line-up of solutions. In addition to the solutions from NSC’s ELAN, SpeakerCraft, Panamax, and other custom installation brands originally included in the ELAN New Home Program, the Nortek Security & Control New Home Program adds 2GIG security, Linear access control, Numera health and wellness, and GoControl connectivity solutions. sonnen, a manufacturer of intelligent residential energy management, has announced a new partnership with Azione Unlimited, a national buying group comprised of equal membership of customer integrators, home technology professionals, and manufacturers. 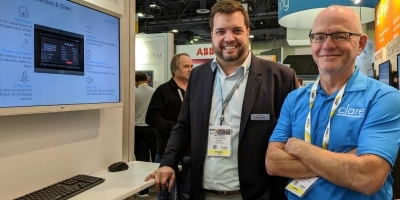 As a new vendor, sonnen will offer buying group members a robust program centered around energy automation with ecoLinx - a revolutionary new smart home energy management system that made its debut at CEDIA in September 2018. ProSource, a national audio, video, and integration buying group, has announced today the addition of Future Ready Solutions as a new fiber vendor. Founded by industry veteran Eric Bodley, Future Ready Solutions is a supplier of connectivity products focused on preparing for the future of advanced data and HDMI over fiber. "Future Ready Solutions has been at the forefront of reliable, high-performance fiber solutions for many years," says Dave Workman, CEO and president of ProSource. "They are an established expert on real 4K HDMI connectivity, signal distribution, and networking over fiber." Future Ready Solutions supplies a variety of featured ProSource product brands, including Belden, Celerity Technologies, Cleerline SSF, CTC Union, Inneos, TechLogix Networx, and more. ProSource members gain access to the design and training programs offered by Future Ready Solutions and its online ordering portal with a vast array of documentation, product information, and installation videos. The company also employs a national network of local rep firms to provide local tech support and service. Josh.ai has launched an integration with the Savant smart home platform. The integration, co-generated through a partnership with both companies, facilitates seamless interactivity between Savant’s user focused scene-creation into the Josh.ai platform. By adding Savant compatibility, Josh.ai continues to invest in the custom integration channel and its ecosystem partners. With a focus on privacy and security, the Josh.ai/Savant integration utilizes industry leading practices to ensure client data is protected. Josh.ai delivers the most advanced smart home artificial intelligence services without ever exposing client data for sale or marketing purposes. Josh.ai also allows users to opt out of data collection with the ability to delete any or all chat logs at any time, further demonstrating their commitment to privacy for end-users. DOW Electronics, a Southern distributor, has announced an enhancement to its Smart Services program. The membership program now includes courier service around the six DOW Electronics locations. The Smart Services program is a monthly membership that covers DOW’s Smart Ship and Smart Courier services. Retailers pay a monthly fee of $50, and all 12-volt and custom integration orders are eligible for free shipping. The Smart Courier services was added to the program this week and is included at no additional cost. Courier services are available for same day deliveries up to 25 miles from a DOW Electronics location. Celebrating its 15th anniversary, Elite Screens Inc. was founded in 2004 by professionals from the video projector industry at a time when projector competition was enhancing quality at an increasingly lower cost. This has created a huge demographic with high expectations for a better price without compromising quality. In addition, the company has successfully launched a blog that is designed to answer questions related to the the consumer video market. Crestron, a global manufacturer of smart home technologies, will demonstrate enhanced entry door security and convenience, made possible by partnerships with 2N, a large global provider of IP intercoms, and ekey biometric systems GmbH, a provider of fingerprint access solutions. The latest firmware update to 2N IP-based video intercom door stations makes them Crestron RavaSIP intercom and phone technology compliant. As a result, they integrate intuitively with Crestron TSW-x60 Series touch screens to provide a video intercom solution that also seamlessly integrates with third-party electronic door locks. The wall-mounted ekey finger scanners integrate seamlessly with Crestron 3-Series control systems to provide convenient one-touch door entry and enhanced security. “People want to feel safe and secure in their homes, while also enjoying more convenient entry. Crestron’s partnerships with 2N and ekey make that a reality. 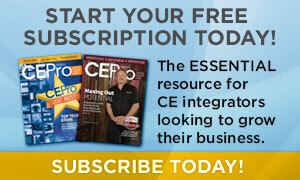 Even better, integration is incredibly simple,” says Michael Short, global residential marketing manager for Crestron. Verizon Fios says it is helping customers stay warm in the cold winter months through a free year of Netflix premium. Through a new promotion, new Fios customers who purchase Verizon Fios Gigabit Connection Internet or Fios Gigabit Connection Triple Play with a two-year agreement will receive one year free of Netflix premium, which it says represents over $190 in value. Netflix premium lets users stream TV shows and movies from Netflix on four devices at the same time and in high definition (HD) and ultra-high definition (UHD) when available. The plan also lets you download titles on up to four phones or tablets. Existing Fios customers qualify for the offer by renewing their term agreement. Already have Netflix—no problem according to Verizon, Fios covers the cost of premium for existing Netflix accounts for one year. Zigen is among the first companies to produce video matrix products certified with Dolby Vision. With the Zigen HXL series matrices installed into AV systems, integrators will be able to take advantage of the latest HDR technology with Dolby Vision leading the way to produce greater nuance and realistic detail in the home theater experience.